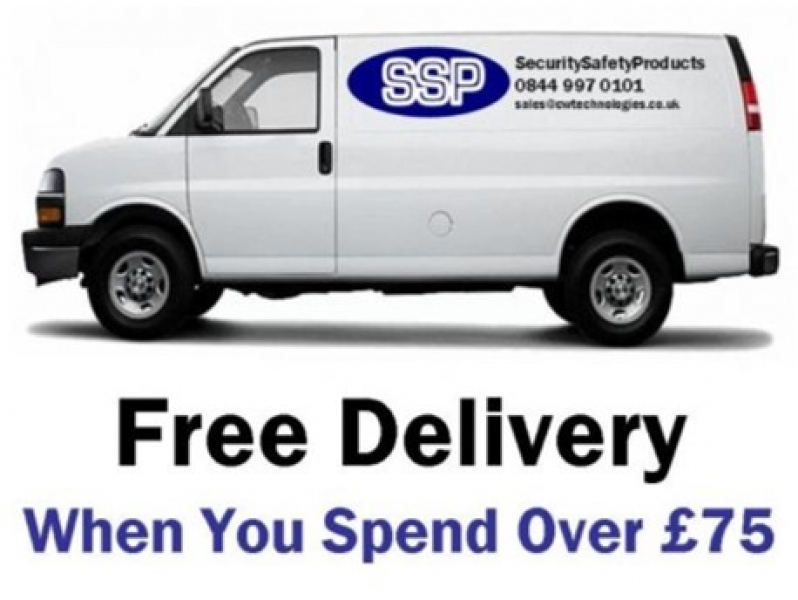 SSP’s heavy duty CCTV cages are built to protect against even the most determined of attacks. 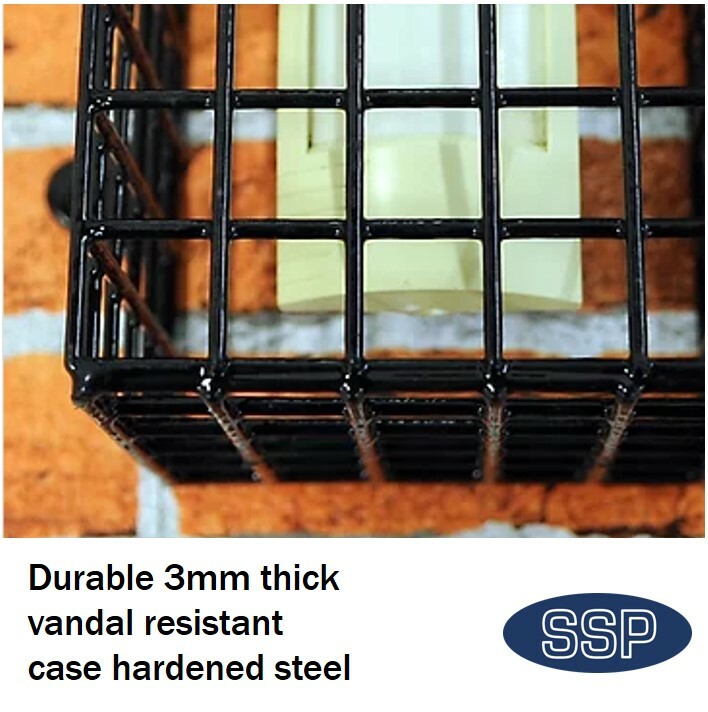 Whether the attack is just mindless vandalism or theft, the tough 3mm thick case-hardened steel used in SSP’s cage is proven to resist either. 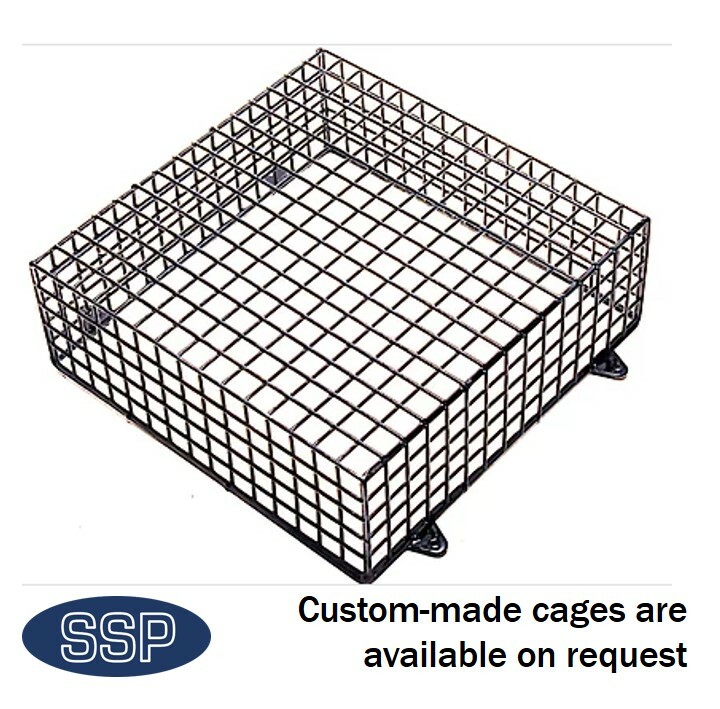 Much of this heavy duty cage’s strength and durability comes from its reinforced base and welded sides. 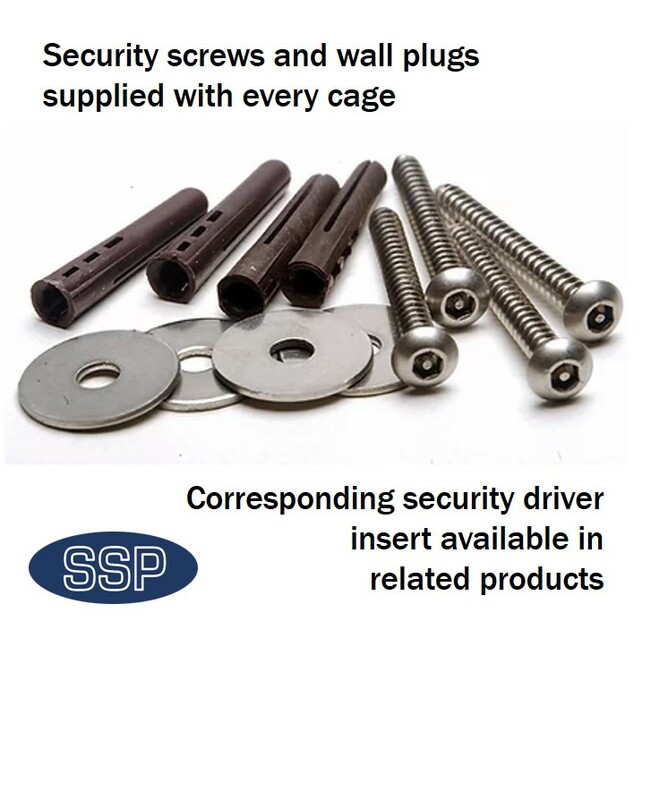 It also comes with security screw fixings to ensure the vandal or thief cannot gain access by easily removing the fixings. The tool (that we do not reveal the size of) to affix these pin hex fixings can be bought from the link below. 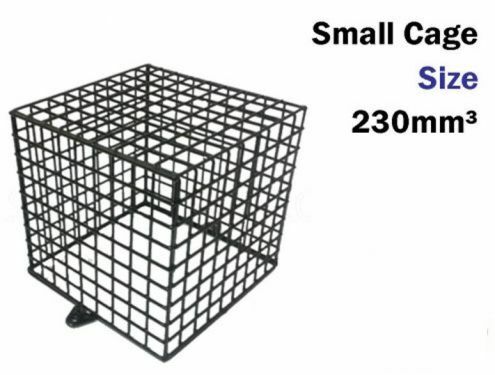 Please note that we will never sell the CCTV cage security driver insert to anybody who has not bought this cage in the first instance. 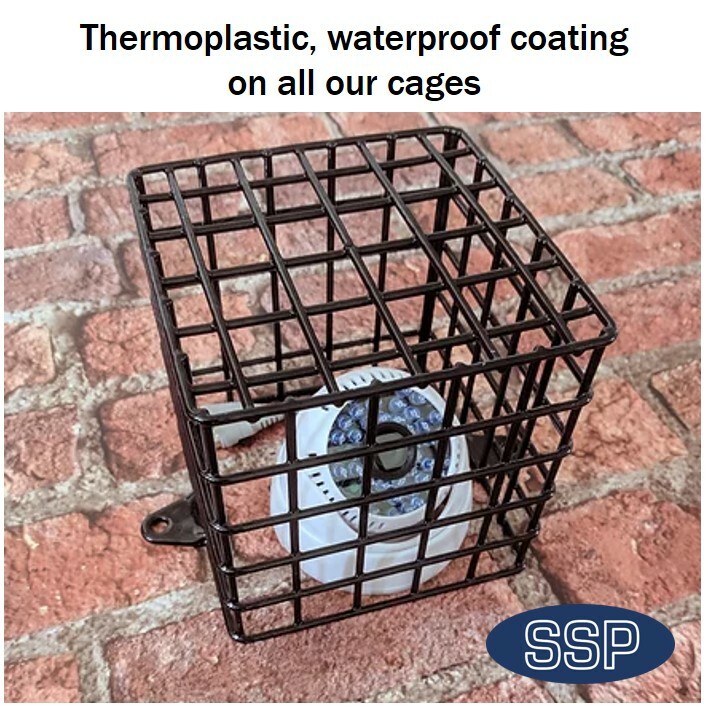 We have also been able to extend the CCTV / PIR cage’s lifespan by encasing the hardened steel cage with a thermoplastic, weatherproof coating. 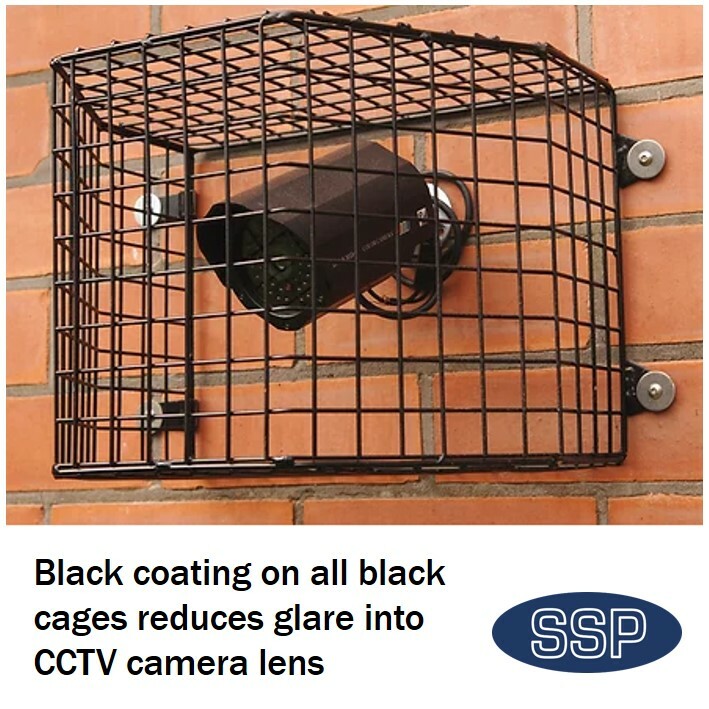 Having carried out rigorous testing, this CCTV camera cage is produced in black to reduce the glare into the camera lens and/or infrared bounce-back. 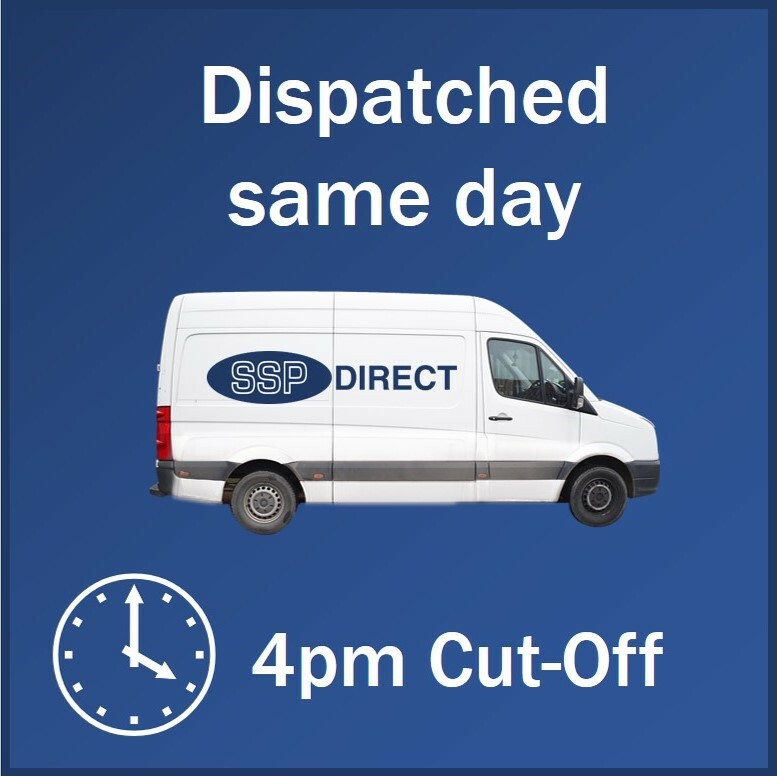 Finally, if you need to service or alter the CCTV camera, PIR or halogen lamp at a later date, many engineers choose to buy the hinges shown in the related products link below. 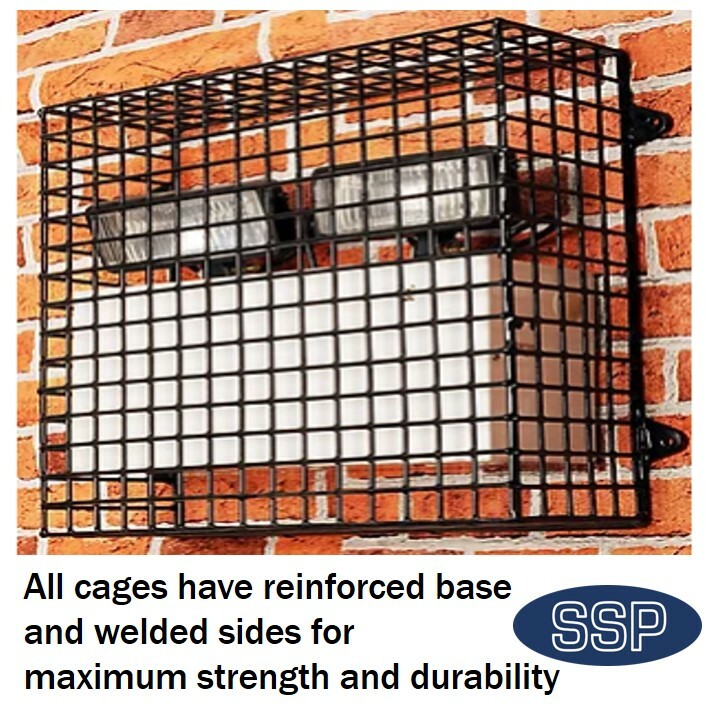 When used, all the engineer will then need to do is remove the fixed security screws and flip open the cage without having to climb back down the ladder. 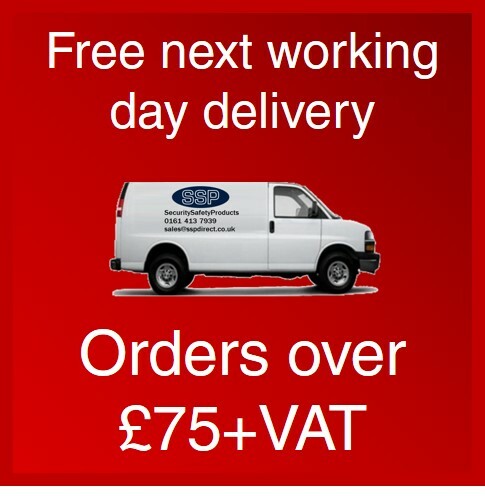 Just after I left work on Friday afternoon the two cages and fixings kit arrived. 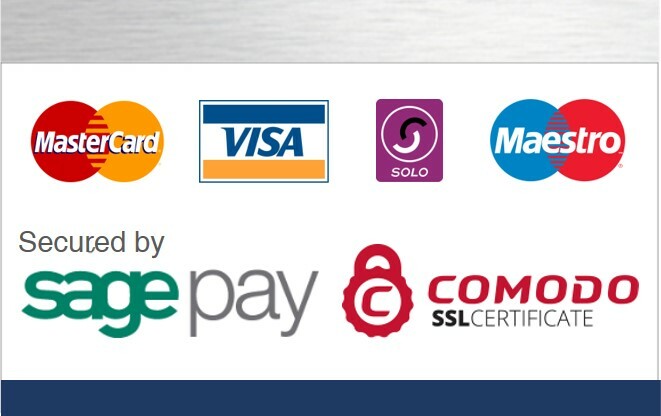 Thanks for looking into the problems for me. 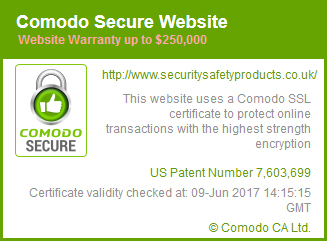 They look great and quite strong. We need these cages as we have a couple of webcams watching a remote LED screen. The cams will be a little bit exposed to theft or damage, so I’m hoping that the security screws keep everything where they are supposed to be!